If three of the nation's largest insurers can't make it on the Obamacare exchanges, can anyone? That's the question hanging over President Obama's signature health reform law less than three months before enrollment begins for 2017. 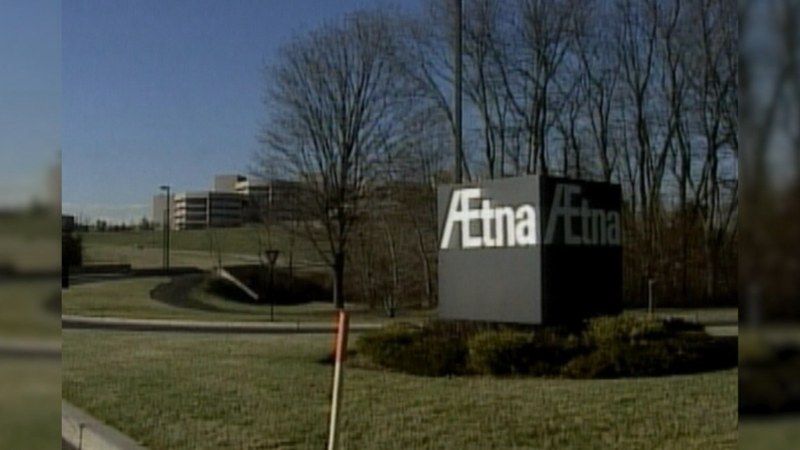 Aetna (AET) is pulling out of 11 of the 15 states where it offers Obamacare policies after losing $430 million, the company announced Monday. Its move follows downsizings by UnitedHealthcare (UNH), which will operate in only three states in 2017, and Humana (HUM), which is withdrawing from nearly 1,200 counties in eight states. There's no doubt Obamacare is suffering a major shakeup three years after the exchanges opened. Those who've signed up for coverage are sicker and costlier than expected, while too many healthier Americans are opting to pay a penalty rather than a premium. That's prompting many insurers to raise their rates by double-digit percentages for 2017 or minimize their presence on the market. The high-profile insurers' actions, however, mask the fact that Obamacare is working for many people and has become a vital part of the health care landscape. More than 11 million Americans are covered by Obamacare policies, with 85% of them receiving federal subsidies that blunt the impact of premium hikes. That's sent the uninsured rate down to a record low 9.1%. Also, some insurers are turning profits on the exchanges and expanding into new Obamacare markets. This is particularly true of companies that entered the individual market after specializing in providing Medicaid benefits to low-income Americans. The turmoil is not unexpected, experts say. It's crucial that both the government and insurers take steps to stabilize the program, but Obamacare is not doomed, they say. "It's a brand new market. It's volatile," said Sabrina Corlette, research professor at Georgetown University's Health Policy Institute. But "the fundamentals are sound." There's no question many insurers are losing big money on Obamacare. Costs exceeded income by 5% in 2014, and that figure doubled the following year, according to McKinsey's Center for U.S. Health System Reform. Losses are expected to grow this year. Only 30% of insurers ran profitable individual divisions in 2014. That share slipped to about a quarter last year, according to McKinsey. Insurers that have fared better on the exchanges typically offer more restrictive policies. They have more limited networks of doctors and hospitals and manage their enrollees' health care usage more tightly. Take Molina Healthcare (MOH), which has a profitable exchange business that targets lower-income customers who qualify for both premium and out-of-pocket subsidies. A Molina executive noted on a conference call last month that it doesn't offer its policy holders access to Cedars-Sinai Medical Center, a prestigious Los Angeles hospital. That helps it keep its rates down. "Not that they're not a fine institution, but they're priced way above what we and our population we're targeting can afford," said John Molina, the insurer's chief financial officer. Bigger insurers, like Aetna, UnitedHealthcare and Humana, on the other hand, have traditionally specialized in the employer market, which typically demands more choice and control. "Their traditional products are not working for this population," Corlette said. National carriers aren't the only ones struggling with higher-than-expected costs on the exchanges. Many Blue Cross Blue Shield companies, which have insured individuals for years, and smaller players are also suffering, said Dan Mendelson, president of Avalere Health, a consulting firm. That's because there are too many sick people in the risk pools and not enough healthy ones to offset the costs. And the situation is getting worse, he said. "The government will have to get involved," Mendelson said. "The exchanges are viable in the long-term, but only if the government stabilizes the risk pools." Experts suggested several ways to lure healthier people into the exchanges, including increasing the penalties for not having coverage and boosting the subsidy levels to make it less expensive to obtain insurance. Also, state and federal governments can offer incentives to insurers to participate on the exchanges -- both through carrots and sticks. Alaska, which will have only one carrier on its exchange next year, created a fund that will help insurers cover high-cost patients. The money will come from a tax levied on all Alaska insurers (not just health insurers). Insurers, meanwhile, want to see the federal government improve its Obamacare risk management program. The Department of Health & Human Services provides more backstops for its Medicare Advantage and Medicare Part D drug programs, both of which are handled by private insurers, Corlette noted. For Obamacare, the feds initially offered three different initiatives designed to shield insurers from costly enrollees. But two of them will end after this year, and insurers say the remaining risk adjustment program has many flaws. The program requires carriers with healthier-than-average customers to fund federal payments to peers with sicker-than-average enrollees. Policyholders' health status is based on diagnoses of chronic costly conditions, such as diabetes and HIV. But insurers argue that enrollees' use of prescription drugs, particularly expensive specialty drugs, should be included in the formula. These may lure carriers back to Obamacare in the future. "If the markets are strong, insurers will come back," Mendelson said.